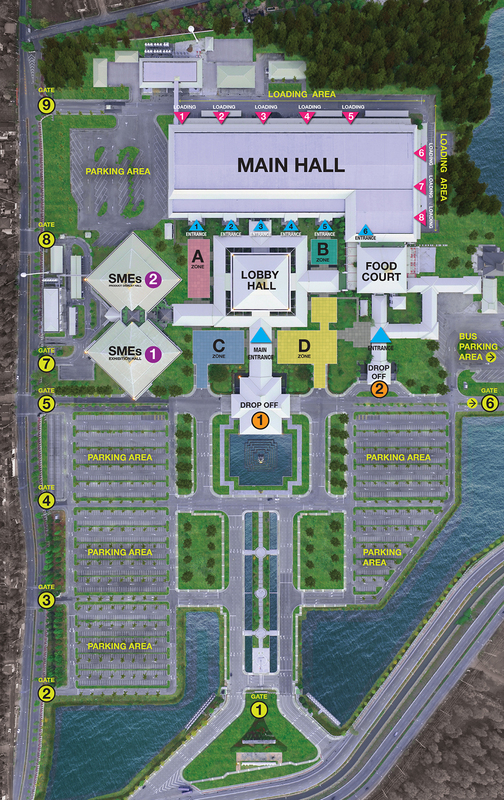 " OVERVIEW OF THE CONVENTION AND EXHIBITION "
3 interconnected exhibition halls with a combined column free space of 8,000 sqm and 12 ceiling height can accommodate more than 10,000 people with theatre style. These halls featured totally soundproof removable dividers. This feature supports our customers to have the freedom and flexibility to adjust the exhibition halls for a variety of all events and activities. 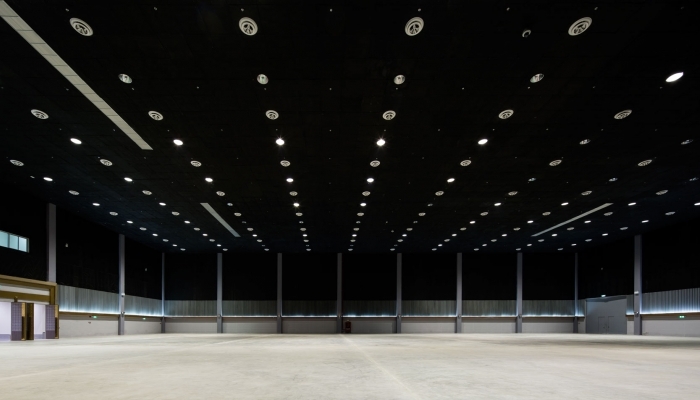 High ceilings, spacious and functionality are the main features of our two connecting large convention halls with the 12 metres high ceilings and space of 1,700 square metres each. 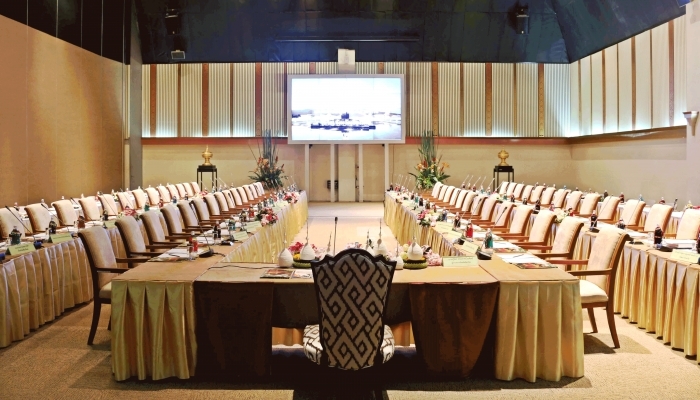 CMECC provides the Thai-Lanna designed convention hall equipped with LED screen, state-of-the-art sound and lighting system. 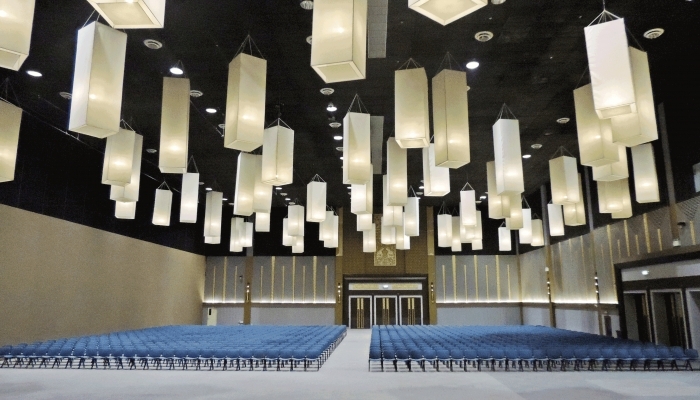 This hall is suitable for convention, congress, corperate meeting and all type of event. The main goal of the SMEs Building is to promote Thailand’s entrepreneurship stimulus program or OTOP. It has a total usable area of 11,988 square meters. 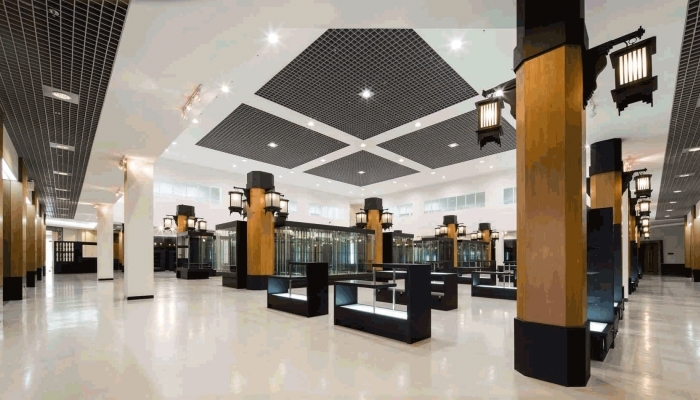 Temporary exhibition hall is principally designed to display the premium local products of Chiang Mai and neighboring provinces. With almost 2,000 square metres of usable space, curious shoppers can shop for wide varieties of premium local products. Product display hall provide various display shelves and areas for the convenience of both organizers and customersas. Supporting facilities such as seminar and business meeting rooms are also provided in this premise. 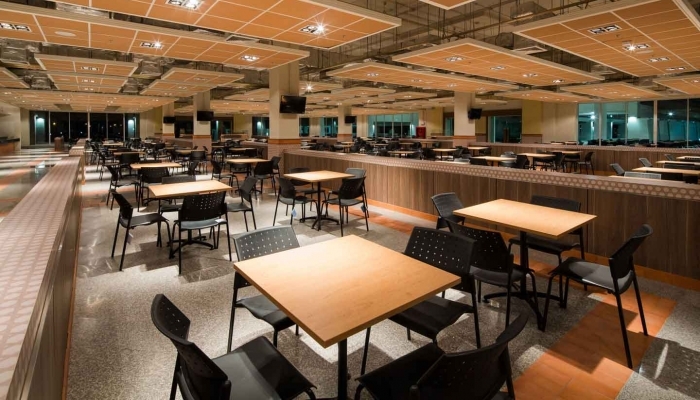 Food court and restaurant are one of an important features in CMECC. The restaurant is on the 2nd floor of venue decorated by beautiful Thai-Lanna style. The restaurant provides 5 VIP rooms. It can accommodate more than 1,200 people. 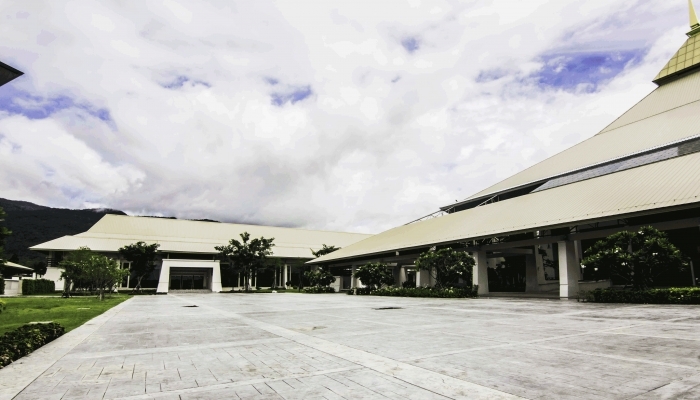 With a total space of 1,182 sqm, food court located on the 1st floor of the building, can accomodate more than 600 people at the same time. An extensive open space of over 7,400 square meters is an important and attractive feature of the multi-purpose outdoor exhibition area. This open space is greatly suitable for varieties of outdoor activities and exhibitions. Over 3,000 vehicles are easily supported by spacious parking areas at any one time. 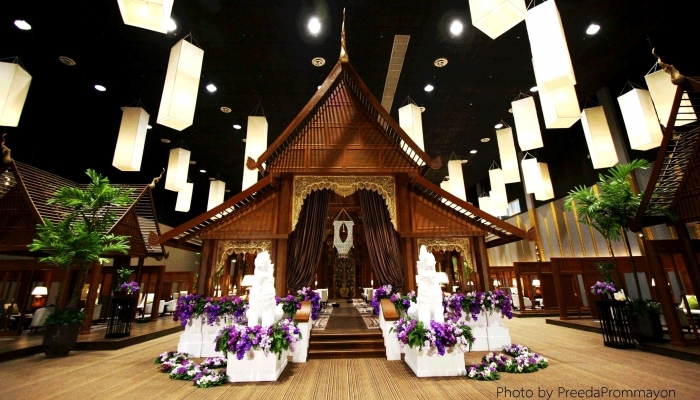 Ratchaphruek Convention Hall 2 is adjusted to an perfectly holding room with Thai-Lanna style decoration. The reproduced beautiful royal pavillon and other small sections with unique and comfortable furnitures can accommodate 300 people. This room is suitable for various event such as business matching wedding ceremony VIP holding and theme party. 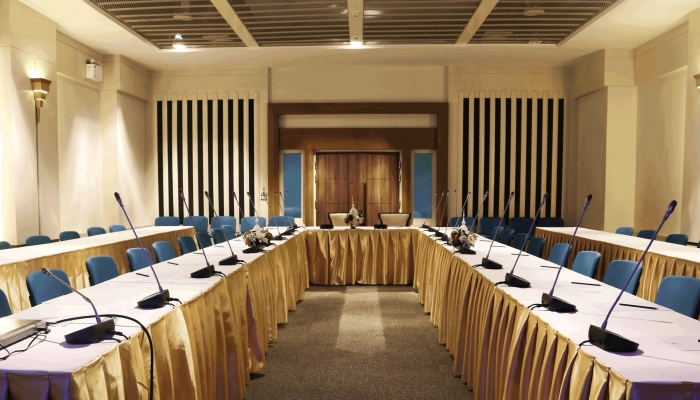 It is the spacious function room situated in the lower level of the convention building. These function room is fully equipped with the state of art seminar facility and it can also be converted to a medium size of the meeting room which can accommodate up to 700 pax.